A dilute mixture of Winsor & Newton “Raw Umber” and “Lamp Black” oil paints in white spirit was flicked onto the tracks, wheels and lower hull from a brush, to simulate damp or darker patches. 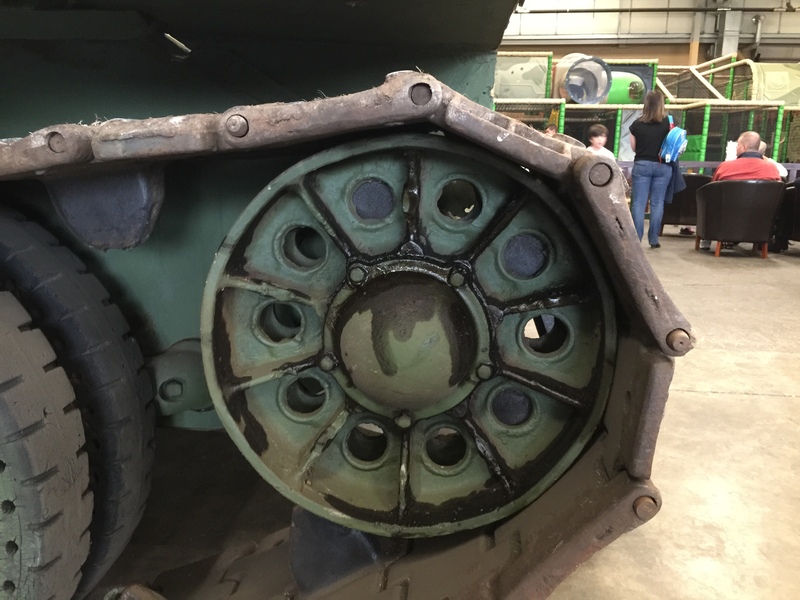 AMMO “Fresh Engine Oil” (A.MIG-1408, in varying concentrations, was painted on some of the wheels, to simulate oil leakages (such as shown on a real T-34 wheel). Parts of the engine deck received the same mixture. AMMO “Fuel Stains” (A.MIG-1409) – diluted in white spirit – was used to create various stains on the hull and turret. Around the fuel filler points, on the external fuel tanks and on areas of spillage on the fenders I used the liquid neat.